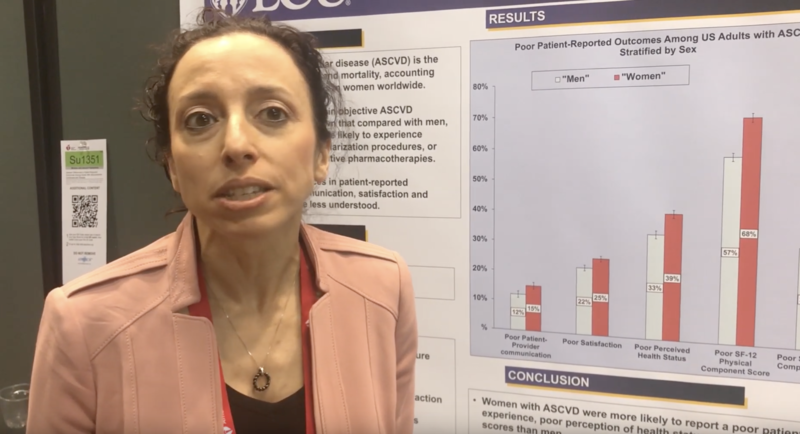 Using data from a nationwide survey that represents 11 million women with heart and blood vessel diseases, Johns Hopkins Medicine researchers say women continue to report significant disparities in the care they receive compared with men. And the root problem, many women say, is that health care providers do not listen to or respect them. Cardiovascular diseases, including heart attacks and strokes, have for decades persisted as the top cause of death of women in the U.S., according to the American Heart Association (AHA). And the AHA reports an estimated 44 million women in the U.S. have cardiovascular disease, and 1 in 3 women’s deaths each year are due to cardiovascular disease. Cardiovascular disease is also the No. 1 cause of death in men, but women have worse outcomes after certain types of heart attacks. Decades of research shows that early identification, treatment and attention to such risk factors as high blood pressure, high cholesterol levels, obesity, family history of cardiovascular disease and diabetes can substantially reduce disease burden and deaths. Lifestyle changes, smoking cessation and drugs such as statins are proven mainstays of risk reduction. But the results of a new study, published online Dec. 10 in the Journal of the American Heart Association, add to evidence that physicians who care for women may be less conscious of and attentive to these risk factors in their female patients, and that women sense that their concerns are not taken as seriously as they should be. “We showed that women were not getting the same level of care as men, and they feel that way too. Women are more likely to report communication problems with health care providers and dissatisfaction with their health care experience, and we think this contributes to the disparities that we see when it comes to getting preventive and other treatment for cardiovascular disease,” says Erin Michos, M.D., M.H.S., associate professor of medicine at the Johns Hopkins University School of Medicine. “Documenting and addressing these gender gaps in communication with health care providers hopefully will translate into improved outcomes for female patients. Michos says past studies have shown that people with positive experiences with their health care providers report better health and better quality of life, and her team designed the new study to better understand how women (and men) with cardiovascular disease rated their experiences with health care providers and perceived their care. For their analysis, they used survey data from the Medical Expenditure Panel Survey, which is a U.S. Department of Health and Human Services study that collected information from 21,353 adult men and women with cardiovascular disease, with several rounds of telephone interviews over two years for each participant from 2006 to 2015. The cardiovascular disease diagnosis was determined by self-reporting or medical record insurance billing codes. Women accounted for 47 percent of the participants. About 75 percent of the participants were white, 14 percent were African-American, 2 percent were Asian and 10 percent were Hispanic. Among the women, 5 percent were less than 40 years of age, 36 percent were ages 40–64, 23 percent were ages 65–74, and 36 percent were 75 years or older. The participants included people who were uninsured, on private insurance, on Medicaid and on Medicare. As for educational levels, the participants ranged from less than high school to college or graduate level. Participants were asked to rate possible responses on patient-provider communication on a scale of 1–4, with 1 being never and 4 being always on questions such as how well their physician explained things in an easy-to-understand way, if their health care provider respected them, if their provider spent enough time with them, or if their health care provider listened to them. The participants rated satisfaction with their health care on a scale of zero to 10, with zero being the worst health care possible and 10 being the best health care ever. Participants also rated their own perceived health status, as well as whether they were prescribed aspirin. Additional health data on medications and health care use were acquired from pharmacies, physicians and hospitals to determine whether they were prescribed cholesterol-lowering statins and how often they used the emergency room or were hospitalized. 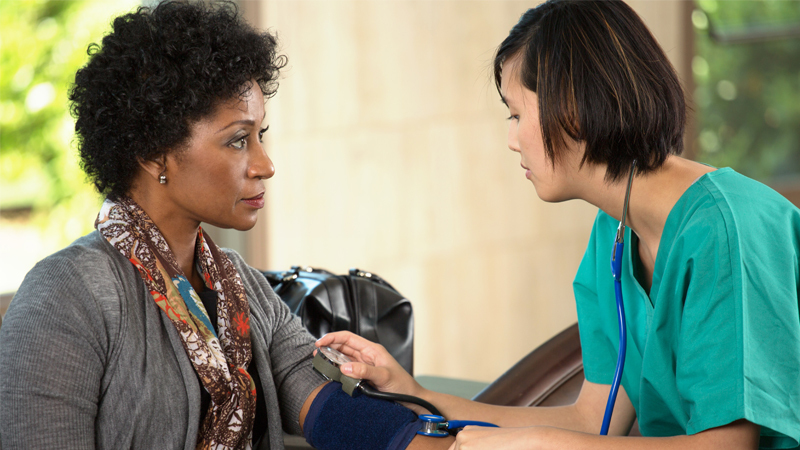 Using data from a nationwide survey that represents 11 million women with heart and blood vessel diseases, Johns Hopkins Medicine researchers say women continue to report significant disparities in the care they receive compared with men. And the root problem, many women say, is that health care providers don’t listen to or respect them. One in 4 women reported dissatisfaction with their health care providers, with women reporting a 12 percent higher rate of poor satisfaction with their health care overall compared with men. Women were 23 percent more likely than men to report that their doctors never or only sometimes listened to them, and 20 percent more likely to report that their doctor never or only sometimes showed them respect. In survey data rating their quality of life, women also scored lower than men in both the physical and mental health components. Compared with male participants, women with cardiovascular disease were overall 35 percent less likely to be prescribed preventive aspirin therapy and 45 percent less likely to be prescribed a statin, standard strategies for reducing cardiovascular disease risks. Even after accounting for ethnicity, age, income level and insurance status, the gender disparities remained, Michos reports. Women were also 28 percent more likely to use the emergency room more than two times per year compared with men. Additional authors included Javier Valero-Elizondo, Shiwani Mahajan and Khurram Nasir of Yale New Haven Hospital; Benjamin Patrick of State House Annex Clinic; Joseph Salami of Baptist Health South Florida; Martin Tibuakuu of St. Luke’s Hospital; Oluseye Ogunmoroti of Johns Hopkins; Saba Ahmad of Lankenau Medical Center; Safi U. Khan of West Virginia University and Martha Gulati of University of Arizona. The study was supported by the Blumenthal Scholars Fund for Preventive Cardiology Research. The authors have no disclosures to report.